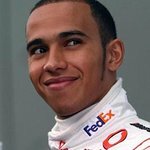 Formula One’s newly crowned world champion, Lewis Hamilton, lent his support to the Honeypot charity via the shirt off his back. Telecommunications giant Sony Ericsson also kicked off their support with a ‘money-cant-buy’ auction on eBay. Among the treasures that were up for bids in the charity auction was a shirt signed by Lewis Hamilton which sold for $979.00; VIP tickets to see the Pussycat Dolls, a hoody signed by The Zutons and VIP tickets to the screening of new James Bond film Quantum of Solace. The auction ended November 2 but look for much more support from Sony Ericsson, who recently signed a two-year deal to support the children’s charity.